Are you excited to start the life-changing Whole30 program? We are so happy that you are taking the challenge and have found us! We’ve put together this Whole30 starter kit to help make the journey a little easier. We have some helpful resources, tips and tricks as well as links to some helpful kitchen tools and Whole30 compliant products that will save you time and effort along the way. We even have a handy infographic that summarizes all of the Whole30 rules. Shall we get going? Be sure to sign up and get one of our complete Whole30 Meal Plans! We have two separate meal plans with completely different recipes. Trust us, these meal plans will save you tons of time and you’ll get delicious Whole30 compliant recipes delivered right to your inbox! Each weekly plan is highly organized, includes a complete shopping list and is 100% printable! Talk about a lifesaver! Click over to our Whole30 Meal Plans page to learn more! Ok, now that you’ve signed up for a meal plan, go ahead and complete the steps below to ready yourself for the Whole30. First off, you’ve got to learn the basics of the Whole30 program. The best resource for this is the original bestselling book from Melissa Hartwig – The Whole30: The 30-Day Guide to Total Health and Food Freedom. If you are more of a visual learner, we created the infographic below that summarizes the basic Whole30 Rules. This has nothing to do with a scrub brush or soap. One one of the most important tasks to complete to ensure you’ll be successful on your Whole30 is cleaning out your refrigerator and pantry. This is different for everyone, but ideally you want to get rid of all of the non-approved Whole30 items in your fridge and pantry. If you can’t get rid of it all (maybe everyone in the house isn’t doing the program) at least try and move all of the non-approved items to a separate area or cupboard. Once you’ve cleaned up your kitchen, you’ll need to restock it with some clean kitchen staples. To help with this, we have created a list of common Whole30 pantry and fridge staple items that we use in a lot of our recipes. You’ll need to stock up most of the items on this list to use when cooking your Whole30 meals. Click the button below to download the list. You can’t go through any portion of your Whole30 without having some sort of plan. For the most part, eating out will be off the table so you need to have a plan for cooking all of your meals at home. For this, we’ve got you completely covered with our Whole30 meal plans. We’ve already done the planning for you, so all you have to do is execute the plan! We’ve also incorporated time-saving make ahead meals, flexible prep steps and planned leftovers in our meal plan to streamline your time in the kitchen each week. You can read more about our Whole30 meal plans here. For those of you who don’t follow our plan, we’ve created some weekly templates for you to help make your meal planning easier. These will provide a basic format to start your meal planning with. Just click the button below to download your weekly meal plan and shopping list template. 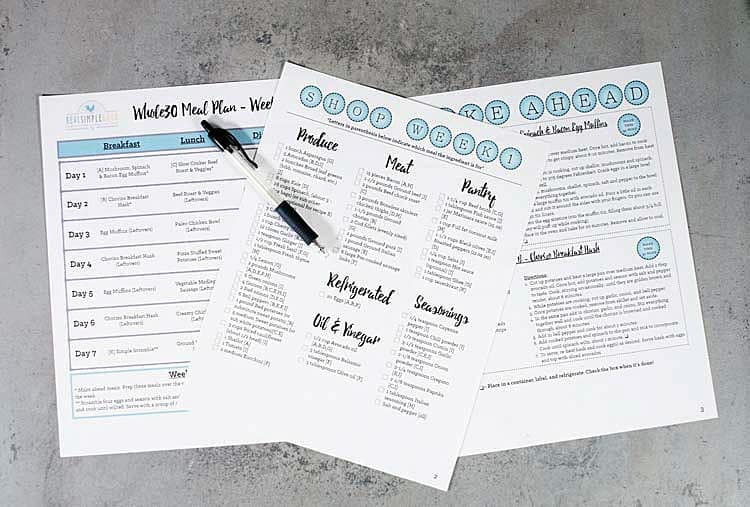 If you are making your own plan from scratch, for inspiration be sure to check out our Whole30 boards on Pinterest for some delicious Whole30 meals. Also, below are links to some of our favorite fellow bloggers who all have a lot of Whole30 recipes on their site! The Movement Menu – Monica also has Whole30 meal plans here, here and here. While we don’t recommend going out and buying a ton of new kitchen gadgets for your Whole30, you may want to invest in a couple of items that will make your life easier during the 30 days. Below are some tools that we use regularly and will be useful for the Whole30. 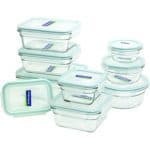 Glasslock Containers – These containers will hold your leftovers and any meals you prep over the weekend. They are dishwasher, microwave, oven and freezer safe. 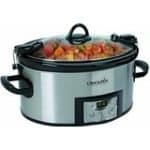 Crockpot – This will do a lot of work for you during your Whole30. It’s good for large meals with leftovers. 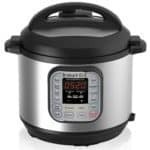 Instant Pot – It’s like a space-age crockpot that cooks meals so fast you won’t believe it. If you’ve thought about getting an Instant Pot but haven’t yet, now might be the time. 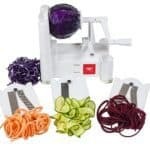 Spiralizer – Turn zucchini and sweet potatoes into noodles and slice and dice veggies in interesting ways with this cheap gadget. Most of what you eat during your Whole30 will consist of moderate portions of meat, seafood, and eggs; lots of vegetables; some fruit; plenty of natural fats; and herbs, spices, and seasonings. We’ve found that certain Whole30 approved food products can make life easier during the Whole30, so you don’t always have to make everything 100% from scratch. 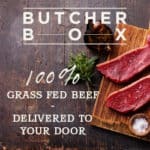 Butcher Box – Naturally and responsibly raised, high-quality meats delivered to your door. Shop through this link to get $15 off your first order plus free bacon! 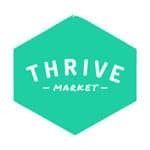 Thrive Market – Sign up through this link and get a free 30-day trial membership, 25% off your first order and free shipping! 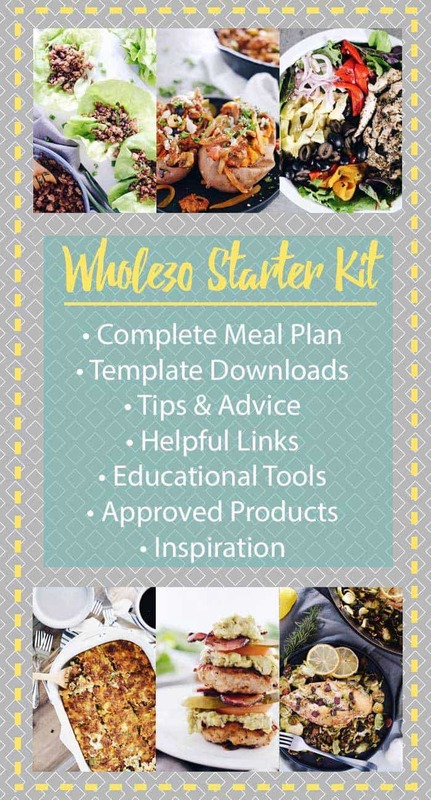 If you are following our Whole30 Meal Plans click here for a custom starter kit that will get you going with basic pantry staples you’ll need to follow the meal plan. Pederson’s Natural Farms – These guys have a line of Whole30 approved products featuring all of the tough meats to find. Bacon, sausage, ham & kielbasa. 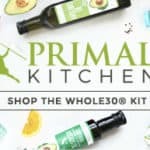 Primal Kitchen – Their products are all clearly labeled so you know which are Whole30 approved. Here you can find mayo, chipotle lime mayo (our favorite), avocado oil and some salad dressings. They have a Whole30 kit containing these items too. 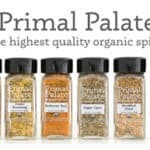 Primal Palate – Quality organic spices and seasoning blends. Our personal favorite is the meat and potatoes blend. 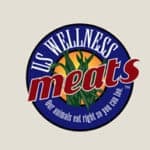 US Wellness Meats – Another go-to online shop for quality grass-fed meats. You can find chorizo, sugar-free bacon, beef franks and more. Here is a direct link to all of their Whole30 approved products. 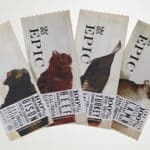 EPIC – Their bars can be a lifesaver for a quality, protein-filled snack. They also have bone broth and quality animal cooking fats. 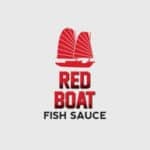 Red Boat Fish Sauce – This umami laden sauce adds so much flavor to many different recipes. It’s a pantry staple for us. 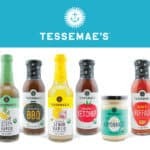 Tessemae’s – Tessemae’s has several Whole30 dressings, sauces and marinades. These can up your game in the kitchen significantly without having to make everything from scratch. 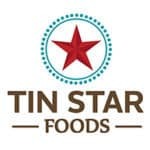 Tin Star Ghee – If you haven’t heard of ghee yet you’ll be very familiar with it by the end of your Whole30. We can’t imagine cooking without it. 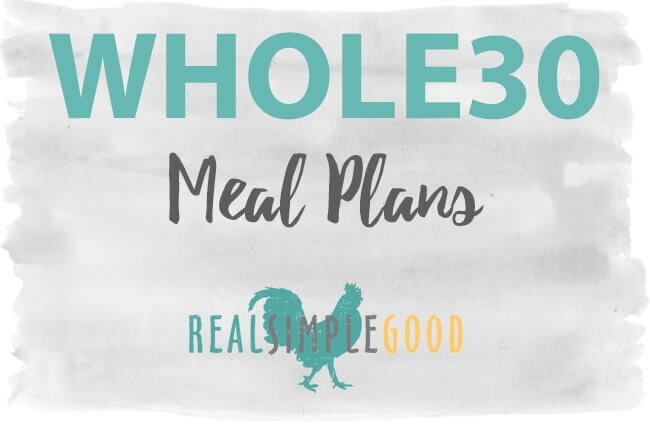 You can also find a complete listing of all of the latest Whole30 approved products on the Whole30 website here. Step 6 – Commit and stay positive! The final step of our Whole30 starter kit is a friendly reminder to make sure that you are 100% committed to following the program rules for the entire 30 days. If you can, summarize why you are doing the Whole30 down to a simple phrase or mantra. This can be something simple like “for my kids”, “for my health”, “to support my husband” – anything that resonates strongly with you. This mantra is what you can tell yourself if you are ever struggling and need to remind yourself why you originally committed to the Whole30 and why you should stick through it. If you go through some struggles during the 30 days (inevitably you will), remember to stay positive and keep moving forward. You’ll be amazed at what you can accomplish with a strong commitment and positive attitude. 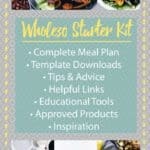 Ok that’s it – you made it through the Whole30 starter kit! We hope you found it helpful and you took away some valuable tools and knowledge that you’ll apply to your Whole30. Let us know if there is anything we missed by leaving a comment below. Also, don’t forget to sign up and get one of our complete Whole30 Meal Plans. We’ve done all of the recipe planning, created weekly shopping lists and put together the whole package for you to make your Whole30 as easy as possible! Click over to our Whole30 Meal Plans page to learn more! Our Whole30 Meal Plans definitely have eggs in them, primarily for breakfasts. We did a roundup post with 30 Whole30 Breakfasts Without Eggs that you could use to supplement breakfasts. The rest of the recipes in our Whole30 Meal Plans I think the eggs could probably be omitted or substituted. We’d be happy to help if you have questions or need help with figuring out substitutions. Let us know! HI. I am curious what you advise for someone who Ian allergic to coconut. Many whole 30 recipes call for coconut cream or milk. What would you suggest as a substitute, particularly for coconut cream or full fat coconut milk? Hi Shannon – I’d probably play with different nut milks to see what you like best. A cashew or macadamia nut milk will be creamier, especially if you made it at home. You can play with how much water you add to make it creamier. I usually do 1 cup of soaked cashews and about 3 cups of filtered water for a super creamy cashew milk. Blend in a high powered blender. That’s probably your best bet. I did Whole30 two years ago and I am blown away by this post and website. I wish this was around for me then but I’m so HAPPY to have all this information in one place! We are so glad you found us! Let us know how it goes if you do another round!